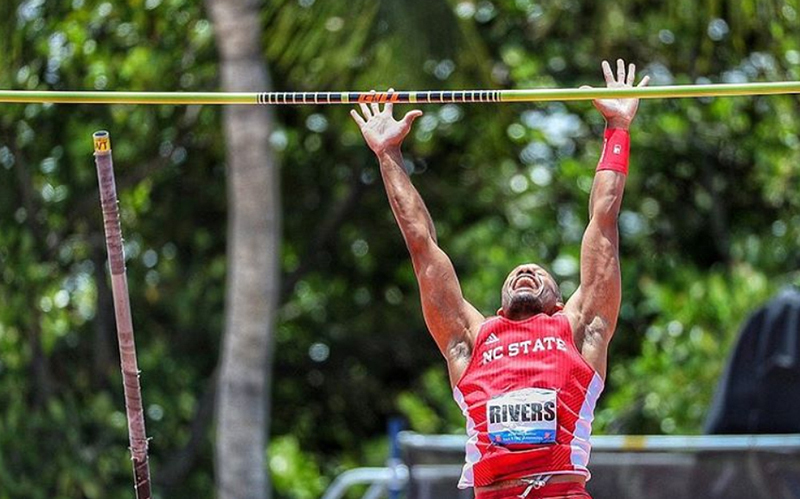 Grant Rivers — who competes for North Carolina State University — set a set a new Bermuda Pole Vault record while competing at a meet this weekend in South Carolina. Competing in the final day of the 2019 Clemson Tiger Paw hosted at the Clemson University Indoor Complex, Rivers finished 21st with a top leap of 4.26m, which set a new Bermuda record. In a post on social media, Rivers, who often competes in the pole vault as part of the multi-event heptathlon and decathlon events, said, “Bermuda has a new National Record holder in the Pole Vault!